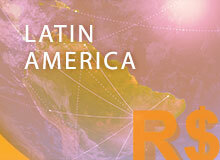 Colombia today is considered to be one of the world’s great emerging economies. Its growing political stability, decrease in violence, young working population and overall positive economic trend make it a country with interesting prospects. Robert Ward, a global forecasting director for the Economist Intelligence Unit (EIU), categorizes upcoming developing nations into a group called CIVETS. All the countries included in this group — Colombia, Indonesia, Vietnam, Egypt, Turkey and South Africa — share several very important characteristics, including positive trends in political, social and economic aspects. In 2011, a financially troubled year for the world, Colombia achieved a Gross Domestic Product (GDP) growth rate of 5.9%, becoming the 33rd largest economy in the world, according to the International Monetary Fund (IMF). For 2012, the Colombian government forecasts public debt to reach 25% of GDP, an enviable mark compared with many other indebted nations. In addition, the country is experiencing an investment rate of 28% of GDP, the highest level seen in the country in the last decade. In a world where some of the most powerful nations are facing grave challenges, this is a very good position for a country such as Colombia to be in. While Colombians are proud of today’s economic status, it was not an easy journey. Issues such as violence and economic inequality long hindered the nation’s economic potential and affected the people’s morale. For many years, Colombia placed great emphasis on overcoming these obstacles. According to the Ministry of Defense, the homicide rate in 2011was the lowest it had been in 26 years, with the country experiencing a 12% drop from the previous year. This positive trend brought great optimism for what Colombia’s future may hold. Where violence — headed by factions such as the Revolutionary Armed Forces of Colombia (FARC) — previously caused major safety issues and distribution challenges and repelled investors, today the improvements are noticeable, and the Colombian government is promoting this change proactively in hopes of attracting international interest. A second and related challenge for Colombia today is economic inequality. Colombia still ranks seventh among countries with the highest degree of economic inequality, but it is seeing a change for the better. The government’s recent decisions to increase public savings, reduce the public deficit and invest in social programs have already resulted in improvements. According to Catalina Crane Arango, the Colombian high presidential counselor for public and private management, the purchasing power of minimum-wage workers has increased significantly over the last decade. In 2000, a minimum-wage worker had to work for 125 months to be able to afford a car; in 2012, a minimum-wage worker could afford a car after 57 months. The lessening violence and reduction in economic inequality are among many developments driving the positive economic trend in Colombia and giving its citizens hope for a better future. As a result, the country is seeing a great expansion in its entrepreneurial environment. According to the most recent survey by GEM (Global Entrepreneurship Monitor), the world’s largest study of entrepreneurship, 20.6% of respondents in Colombia in 2011 reported they had started a company within the last three years. This figure compares to the average result of 11.8% from a selected group of peer countries. Now the Colombian government has the challenge of figuring out how to cultivate and maximize this entrepreneurial potential. In the report Politica de desarrollo empresarial: la “politica industrial” de Colombia, published in May 2011, Sergio Diaz-Granados Guida, a former Minister of Commerce, Industry and Tourism, says, “In the past, industrial policy in Colombia was based on artificial protection of selected sectors of the economy using methods such as high customs tariffs, import licensing, monopoly of the government on food product import, price control and others.” This appears to have led to the creation of an arguably artificial and isolated entrepreneurial environment. In the beginning of the 1990s, the Colombian government’s role in driving entrepreneurship changed as the policy focus shifted toward helping small- and medium-size businesses, which were viewed as the nuclei of economic development for the country. This was the first time the government had used the term política de desarrollo empresarial (entrepreneurship development policy) to describe its new industrial policy. Today, this policy has evolved into one that concentrates governmental efforts not on protecting businesses and industries, but rather on eliminating barriers for entrepreneurship development and on driving competition. More recently, the Colombian government has concentrated its efforts on elaborating the appropriate legal framework and financial infrastructure to support new entrepreneurial activity in the country. One of the most important pieces of legislation on entrepreneurship was passed in 2006. Law 1014 aimed to promote entrepreneurship across different sectors of the economy. One of its initiatives was the creation of the national and regional network for entrepreneurship development. In 2009, Law 1286 established the national system of science, technology and innovation, whose goal is to support high-technology high-impact entrepreneurship. In addition to strategies and laws, the Colombian government has been looking at other methods for growing and supporting entrepreneurship. In 2002, the government launched Fondo Emprender, a seed capital fund that specializes in financing the companies that were formed within SENA (Servicio Nacional de Aprendizaje), an educational entity responsible for promoting entrepreneurship among students. Institutions such as this focus primarily on providing financial and infrastructural support to specific entrepreneurial projects. Together with the national system of creation and incubation, this network has established more than 20 business incubators across the country, which in turn have helped to launch more than 1,500 start-up companies since 2003. Faced with growing entrepreneurial activity and need, the Colombian government has had to find a more effective and wider-reaching plan. According to Sergio Zuluaga, director of entrepreneurship and innovation in the Ministry of Commerce, Industry and Tourism — responsible for promoting entrepreneurship in the country — the government recently decided to change its approach, choosing one where it takes into account the entrepreneurship ecosystem as a whole, focusing both on the different types of new business and on the institutions that are part of this ecosystem. “Colombia has a lot of types of entrepreneurs and institutions, and we need to develop precise and tailor-made instruments, strategies and policies for each one of them,” Zuluaga stated. The new approach does not stand alone; it is supported by the national entrepreneurship policy of 2009 and, subsequently, by the national development plan of 2010-2014. According to Política de Emprendimiento 2009, the main goal of the new policies is to resolve what have been identified as today’s key challenges for the Colombian entrepreneurial environment. These challenges include an informality of entrepreneurial ventures, time-consuming and costly registration and liquidation procedures, difficult access to financing, market-entry limits, limited access to high-end technology, intellectual-rights protection, low levels of innovation, a lack of communication and articulation among institutions and a low level of overall entrepreneurial competence — a long and daunting list for the government to work though. In an effort to resolve these challenges, Zuluaga indicated that the Colombian government intends to structure its efforts on the basis of four strategic principles: First is to apply a differential approach; as Zuluaga put it, “every type of entrepreneur and support institution needs a specific solution, and we need to work side by side with them to design and implement effective policies.” Second is to create and support instruments and programs that facilitate the “go-to-market” part of the entrepreneurship process. Third is to promote easy access to financing for entrepreneurs and new businesses (such as venture capital funds, a network of investors and micro-financing). Fourth is to establish and help maintain communication among all institutions responsible for entrepreneurship development within the ecosystem. These principles are inspired by what Zuluaga and others in the Colombian government like to call the “Try Fast, Learn Fast, Fail Cheap” model — a model the government hopes will help Colombia’s existing and aspiring entrepreneurs. The government also plans to carry out a variety of programs that deal with nonfinancial industries, such as a national competition for entrepreneurs; tutorship programs; support for businesses that incorporate science, tech and innovation; a national system of business incubators; techno parks and innovation programs. Clearly the government has set some bold objectives in hopes of growing the entrepreneurial presence in Colombia. But the long list of plans makes some observers question whether the government will be able to execute these plans effectively and, indeed, whether these plans meet Colombian entrepreneurs’ most pressing needs. By creating a system of special incentives and support for establishing new businesses, the Colombian government has achieved successes in making the country a place where entrepreneurs and their businesses see positive prospects. However, challenges still exist. In order to harness and grow the existing entrepreneurial environment, the government needs to select where it focuses its efforts and determine how to do so carefully and effectively. In its attempt to drive entrepreneurship, the Colombian government faces the challenge of dealing with large numbers of fundamentally different types of entrepreneurs. Some are driven by necessity, such as the unemployed impoverished people who sell juice on the street corners. Others are driven by opportunity or motivation, typically educated people with access to at least the basic necessities of life. According to the GEM survey, in Colombia, for each entrepreneur driven to launch out of necessity, 1.49 do so because they see an opportunity. This ratio is lower than the average indicator for efficiency-driven economies (including Colombia), where the number of opportunity-driven entrepreneurs is almost double that of necessity-driven entrepreneurs. Government policy must recognize the different needs and goals of these two groups. “The government applies a differential focus and elaborates specific strategies to approach opportunity and necessity entrepreneurs differently,” says Zuluaga. The initiatives created by the Colombian government are solid first steps toward building an environment conducive to entrepreneurship. However, until now, not all entrepreneurs have felt positive about governmental policies and plans. According to the GEM survey, even though people recognize the government’s recent efforts, they explicitly stated that policies are still not clear or communicated sufficiently. Alejandro Venegas, co-founder of an online financial services company in Colombia, pointed out that although he has heard that government programs exist to support entrepreneurs, he has no information about them or how to access them. This sentiment seems to be a common theme among entrepreneurs. The GEM survey also indicated that current tax policies and interest rates were not beneficial for starting a company, and that the delay and inefficiency of bureaucratic procedures in government departments is an impediment to the start-up process. Angela Maria Yepes Ruiz, a Colombian business owner, commented that government processes and taxation in general are extremely difficult for starting businesses in Colombia. In addition, none of the dimensions rated by the survey were rated as “outstanding,” demonstrating the need for improvement in a diverse range of areas such as education, financing, intellectual property rights, infrastructure, interest in innovation and support for women in business. Colombian entrepreneurs continue to face daunting challenges: difficulty in accessing information about specific support programs offered by the government or a lack of such information; the still-high importance of personal contacts required to make things happen, and the underdeveloped financial markets, including the lack of accessible venture capital funds and seed financing and the low activity of international start-up financing funds. Meanwhile, the entrepreneurial desire is alive and well. In the GEM survey, 88.6% of Colombian respondents noted that entrepreneurship is an enviable career, versus 72.8% of those from the peer countries. It is simple: Colombians want to be entrepreneurs. The economic conditions are looking good, and people are feeling positive: 68.1% in Colombia said they believe there will be better conditions for business within the next six months. And the government is making a strong effort to establish the right laws and programs to help entrepreneurs. If the conditions continue to improve, Colombia will transition from being a country once known for its violence, economic disparity and large cocoa industry to one known for a flourishing entrepreneurial environment filled with impressive opportunities. This article was written by Melissa Blohm, Andre Fernandes and Bulat Khalitov, members of the Lauder Class of 2014.